This striking wreath will instantly put you in the Christmas spirit!! And is a nice touch for your Christmas party! Make two and cheer up a friend. This luxurious piece of art will compliment any mantel or entryway. 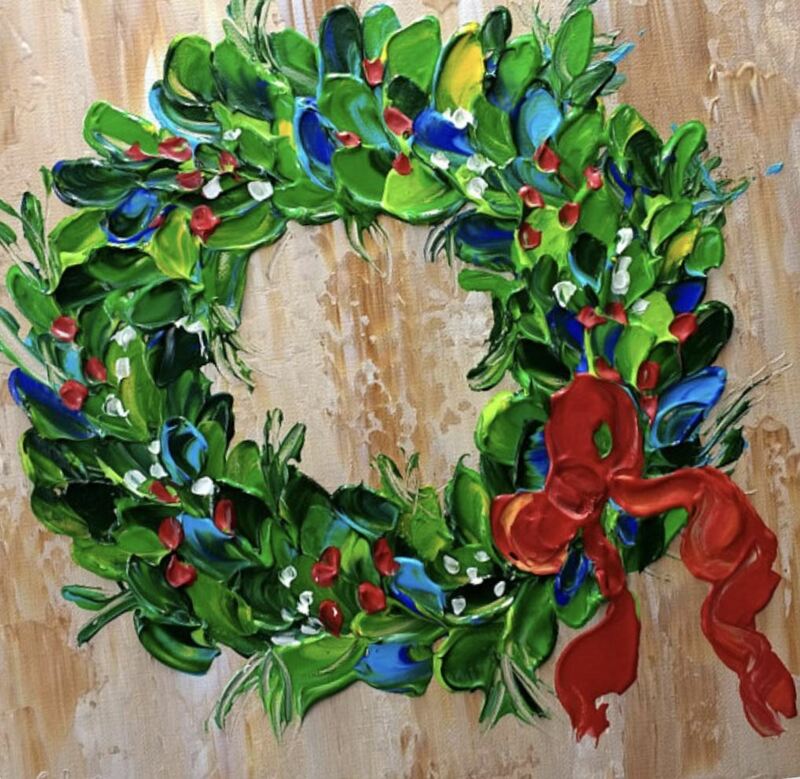 Sheila will show you how to blend molding paste with green paint to apply impasto and using art tools achieve this look. Cute red berries scatter through the wreath and a cheerful red bow give the finishing touch!! Also looks cute with black background! Personalize it with the Family name!! Fee includes supplies for one project. Bring an additional $10 if you want to make two.